Size 16.92 x 10.62 x 12.2 in. Pink / 16.92 x 10.62 x 12.2 in. Gray / 16.92 x 10.62 x 12.2 in. Champagne / 16.92 x 10.62 x 12.2 in. 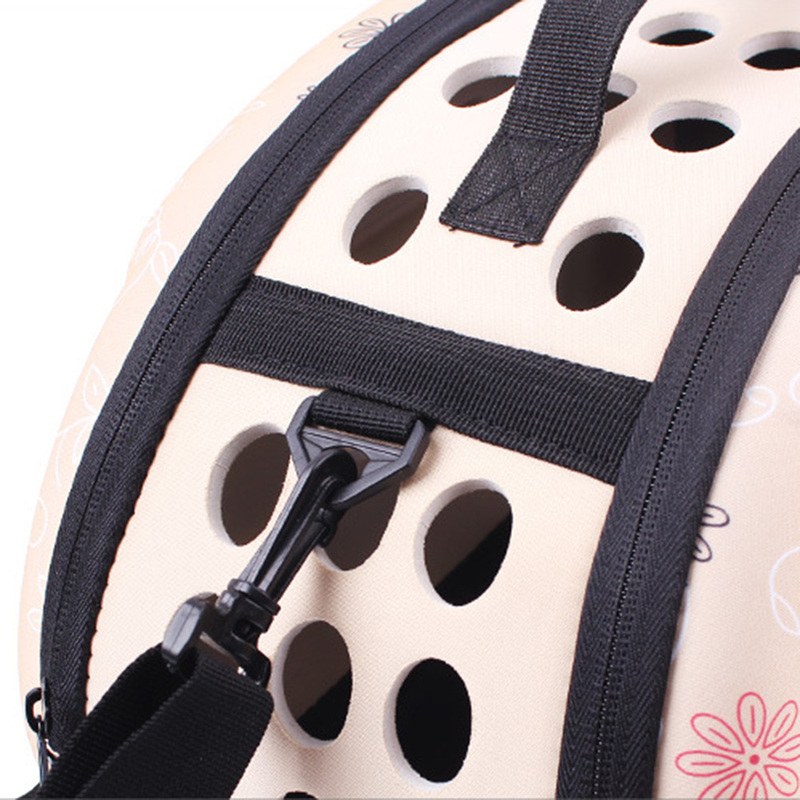 Whether it’s a day of shopping or a trip to some exotic locale, your furry fashionista will be traveling comfortably in the Floral Foldable Paw Print Pet Carrier. 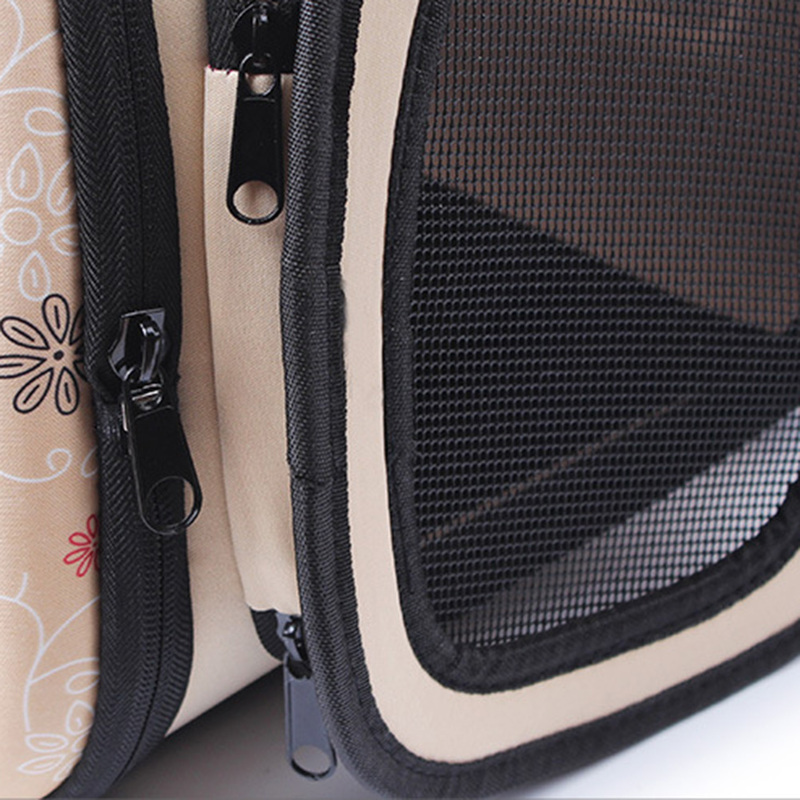 Exceptional design meets impeccable style in this beautiful, stylish and functional pet carrier. Made from ultra-light EVA material, this carrier is foldable, allowing for easy organization. Plus, the top and sides can be opened easily for soothing petting or feeding sessions while your pet is inside. 360-degree ventilation holes provide your pet with plenty of fresh air and visibility. Convenient and stylish design. 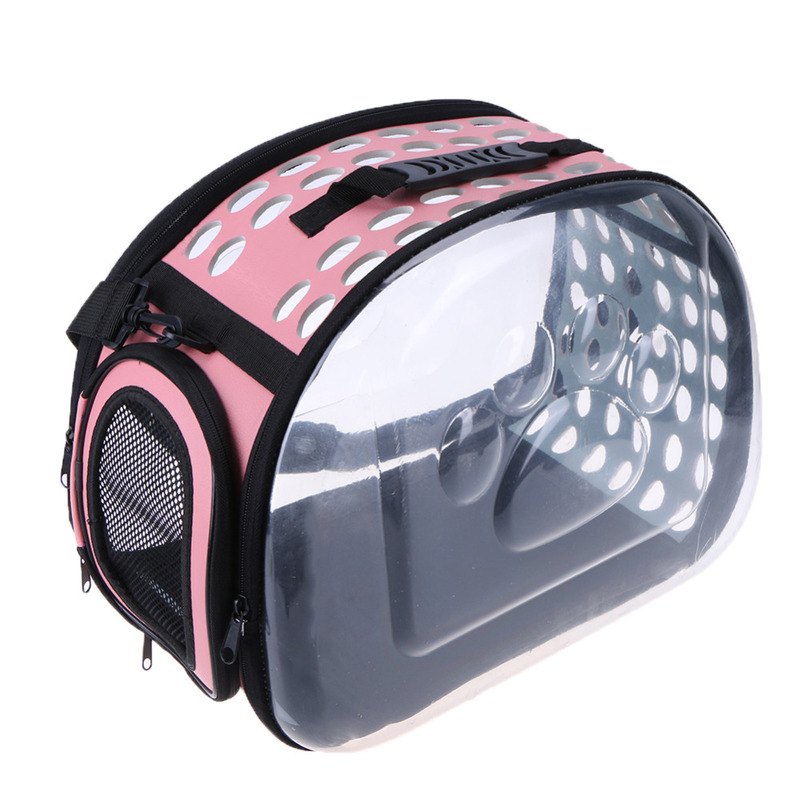 Exceptional design and impeccable style meet in this attractive, highly functional pet carrier. Lightweight and comfortable. Made from ultra-light EVA material, dual-zipper top, and side access and reinforced mesh windows for great ventilation. Versatile. 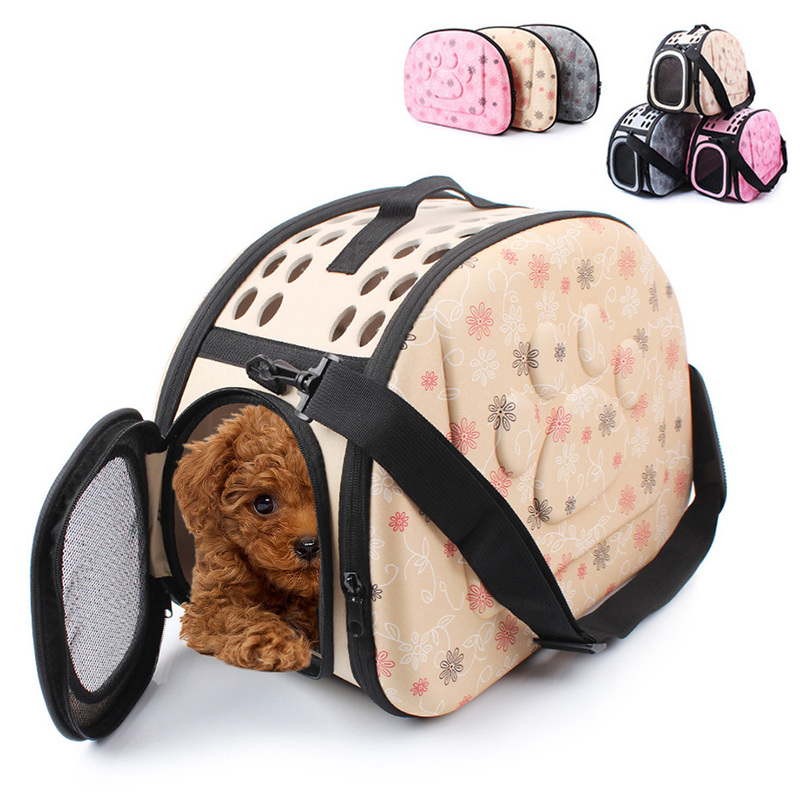 Recommended for pets up to 15 pounds and available in three fashionable colors; carrier measures 16.92 x 10.62 x 12.2 in.